Winter is here and while cozying up with a hot chocolate is a great fireside activity, the best way to enjoy a snowy day is to be out in it. Winter sports like skiing and snowboarding are great ways to have fun and stay fit through our long Canadian winters. They can be, however, dangerous activities and personal injuries can be costly. According to the 2009 report The Economic Burden of Injury in Canada, winter activities are responsible for over 70,000 unintentional injuries in Canada annually. Nearly 1,400 of these winter injuries result in partial or permanent disability as well as $400 million in direct and indirect costs to Canadians. In the case of an accident with other recreationists (a fellow skier or snowboarder) there must be evidence that negligence on the part of the other party is responsible for your injury in order to successfully file a lawsuit. Alpine sports are inherently risky and so it is only if another person failed to act with reasonable care that they may be liable for damages. 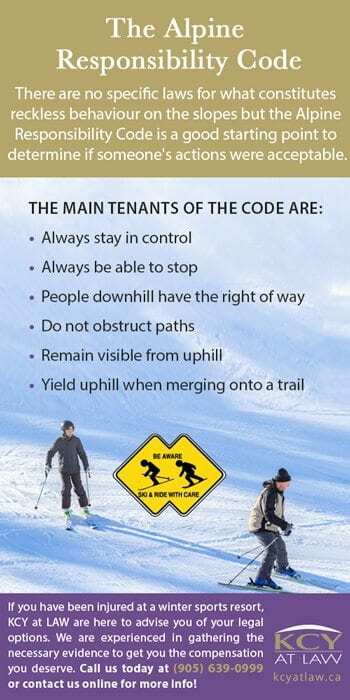 There are no specific laws for what constitutes reckless behaviour on the slopes but the Alpine Responsibility Code is a good starting point to determine if someone’s actions were acceptable. Accordingly, in the event of a collision between two beginners colliding on a Green Circle run it is unlikely that the accident would be considered to have resulted from negligence. By contrast, an advanced skier who is barrelling down an icy Green Circle slope and causes an accident while weaving through beginners may be considered reckless and therefore liable for damages. If you are injured in an accident with another skier or snowboarder it is important that you, or a friend or family member, get the name and contact information of the person with whom you collided. 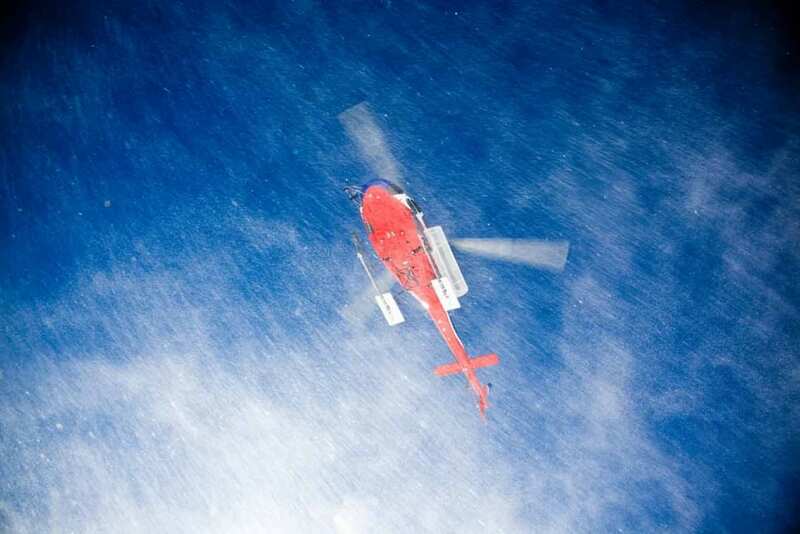 You should also try to get contact information from any witnesses to the accident. Lastly, be sure to take as many pictures of the accident site as possible. 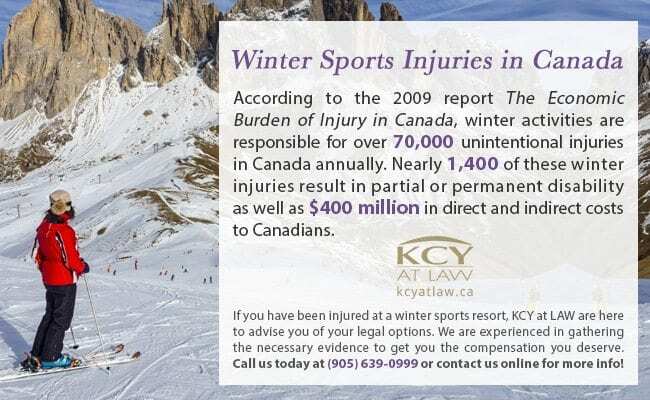 If you have been injured at a winter sports resort, KCY at LAW are here to advise you of your legal options. We are experienced in gathering the necessary evidence to get you the compensation you deserve. Call us today at (905) 639-0999 or contact us online for more info!